﻿ U2 2 Tribute Band - Even Bono Likes Them! Achtung Baby, you'd better be ready for this rock spectacle! U2 can enjoy the superb sounds and stage show of this No#1 UK tribute to the iconic band and their hits. Is there really anyone who hasn't heard of Bono and U2? Certainly, if you were a child of the 80's these rock Gods strode across the music scene in a world already inhabited by great performers and fabulous music. With Albums like the Joshua Tree U2 dominated in a way that few other bands ever have. With Bono's vocals and the Edge'sguitar sounds they were innovative and writers of top songs. Always respected in the world of entertainment they were unique. So, with a musical lineage like that surely any tribute band has got it easy?. Don't believe it. Reproducing the sounds and songs of U2 is a seriously major challenge that few successfully manage to master. At the head of a very small field are U2 2. Possibly one of the best tribute bands around - in any genre of music, this is a band who know their trade inside out...the real deal. 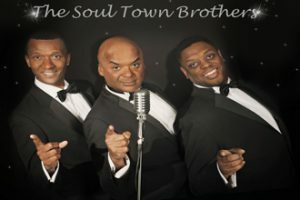 Mind you they should as this tribute group was formed back in the early 1990's and has gone on to grace many major venues, TV channels and specialist gigs. With this group, you get the works - fantastically accurate covers of U2's greatest tunes, the on-stage look, the distinctive U2 sound driven by the specialised Edge's guitar effects and the searing vocals of Bono. All recreated to pitch-perfect accuracy and presented in the most professional of shows. It really is very simple - if you want the very best U2 tribute...actually the best any tribute..for your live event then just don't look any further. Book U2-2 now but make sure you plan well ahead, because the demand, as so often with great acts, is high! Seen them a few times, they're the best...quite stunning as ever.